Ever since I can remember, this has been my signature recipe. Kind of. 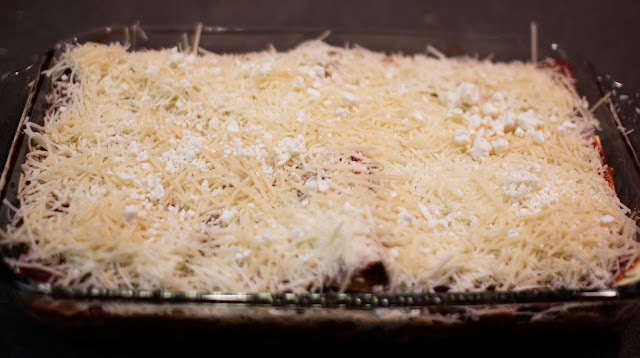 I mean, I stole the recipe from my sister, replaced some of the cheeses with my own, and started throwing dinner parties in high school because it's totally normal to want to have dinner parties at 16. I was a real wild child, guys. (Note, high levels of sarcasm. I've been agressively organized and mentally 40 since forever) Anyhow, this is a GREAT beginner recipe! If you aren't a big cook, try making this for Valentine's day as a special surprise. Or if you are a big cook, try making this when you don't want to dirty the kitchen like crazy. 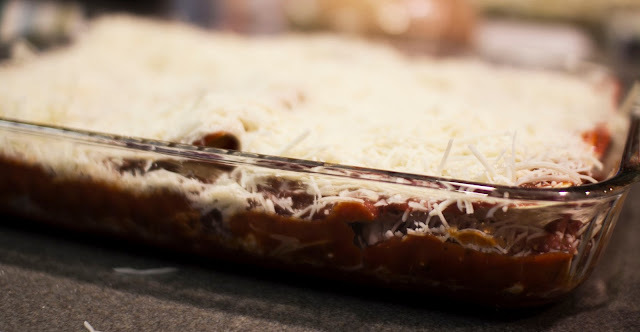 You can even make this up ahead of time and stick it in the fridge, then place it in the oven when ready! First, preheat the over to 375 Degrees farhenheit and spray your cooking dish. 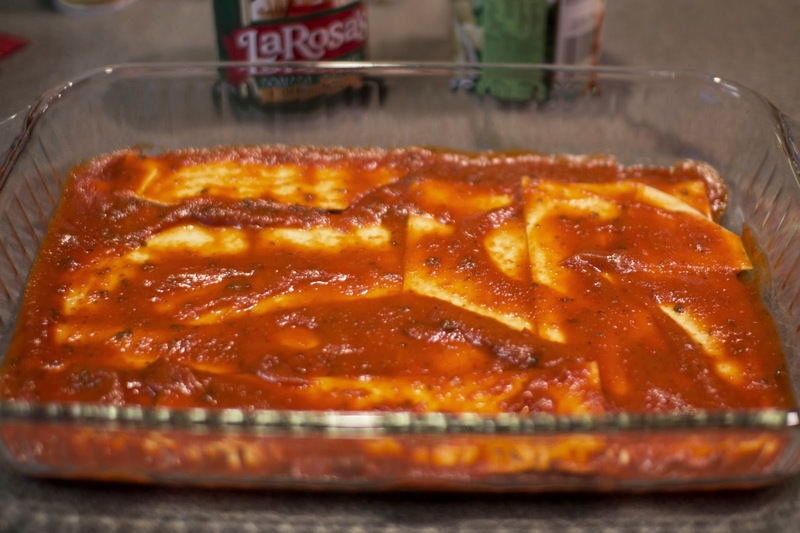 Layer in a mix of the two pastas. I generally scoop even portions down and spread. 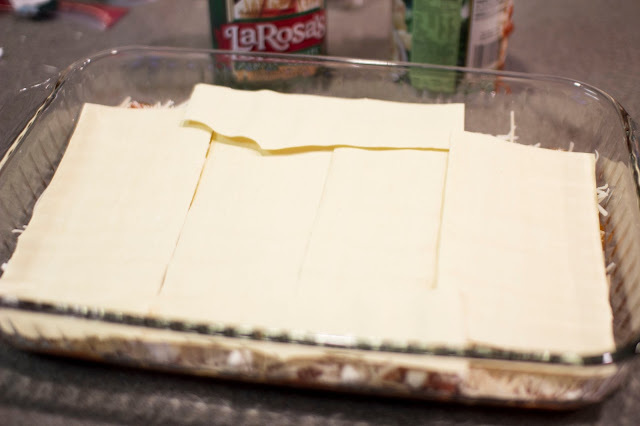 A - Layer your pasta noodles - I use four per layer. B - Spread tomato sauce evenly over the noodles with no dry areas. 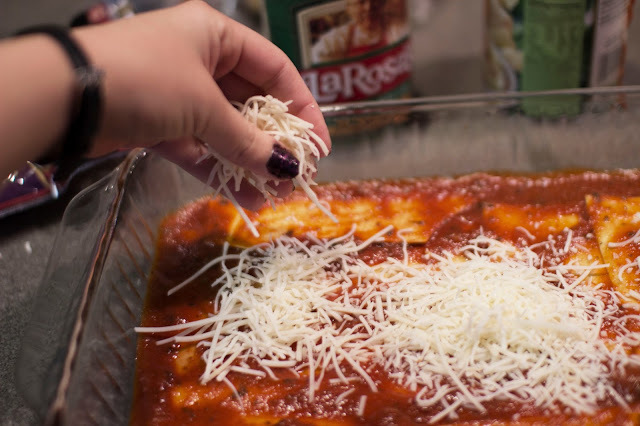 C - Sprinkle Italian four cheese over the sauce until you see minimal red. D- Sprinkle some Parmesan on top of that. E - Crumble some goat cheese over top of that - about 1/4 of the log or container. Repeat A-E 2 more times. 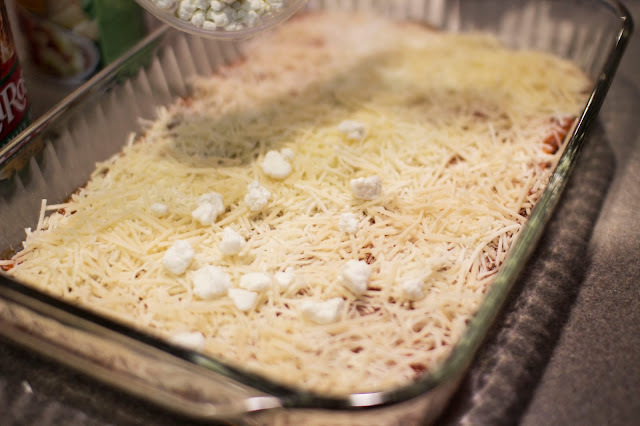 On the last layer, use 1/2 of the goat cheese and add more of the other cheeses as well so it's fairly thick. 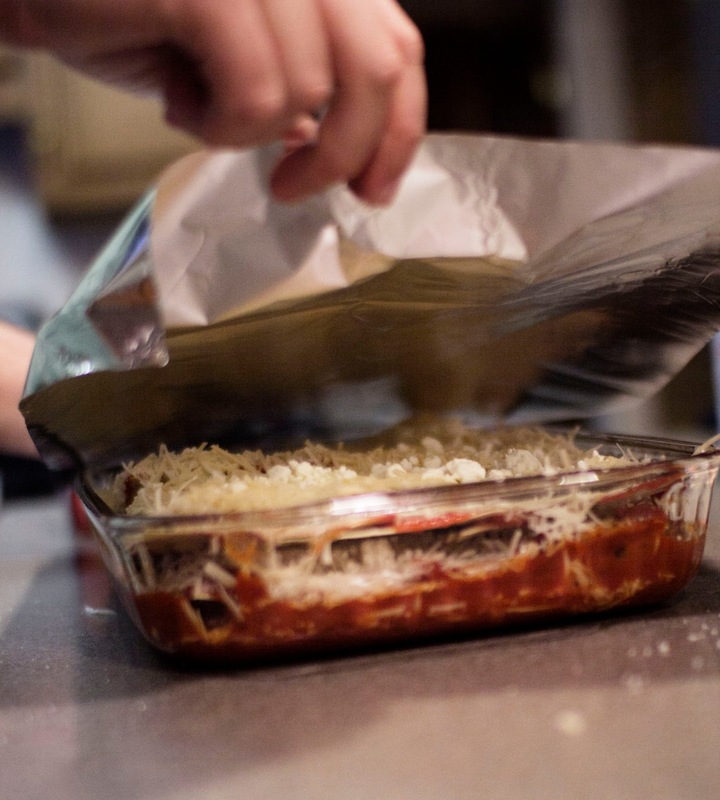 Remove the foil and continue cooking uncovered for 10 minutes until the cheese is lightly browned and bubbly. Let cool for a few minutes and cut into 8 squares - then serve! Ah, you've just made my day as I was wondering what else to do with this ENTIRE log of goat cheese (other than eat it out of the tube in front of an open fridge). Yum! 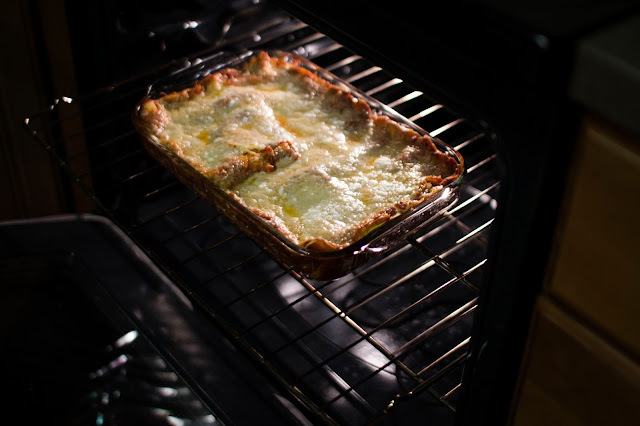 Oh Lord.. this lasagna looks so good! *. * My boyfriend would love it! Everything that has pasta and chesse and tomato, he loves it. 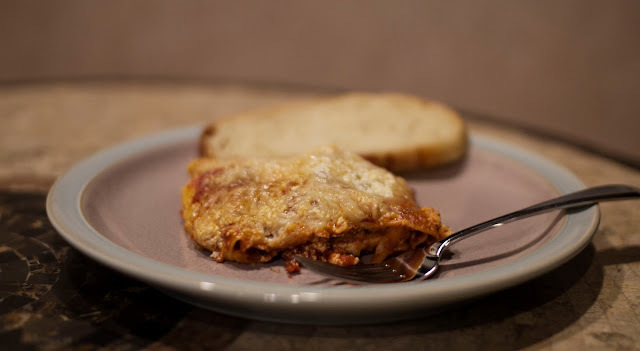 I like to make bolognese lasagna, and I think the great trick it's to spicy well the meat. I'm no cook, but this looks delicious, easy and veggie! Must try!! This is awesome, looks simple and delicious! I am compiling easy recipes for when I move out this spring, this is definitely going to be something I try out! 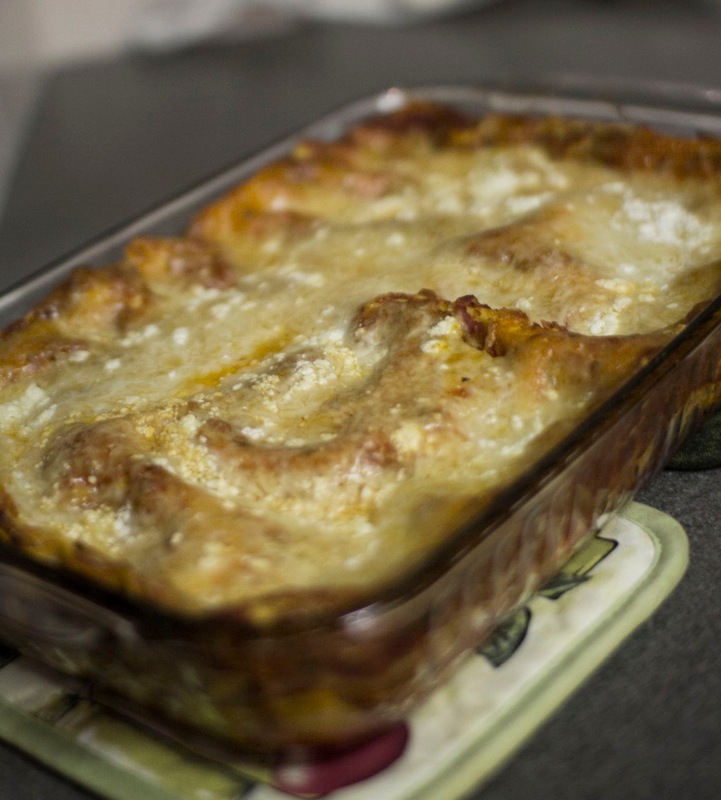 I made a lasagne earlier tonight! 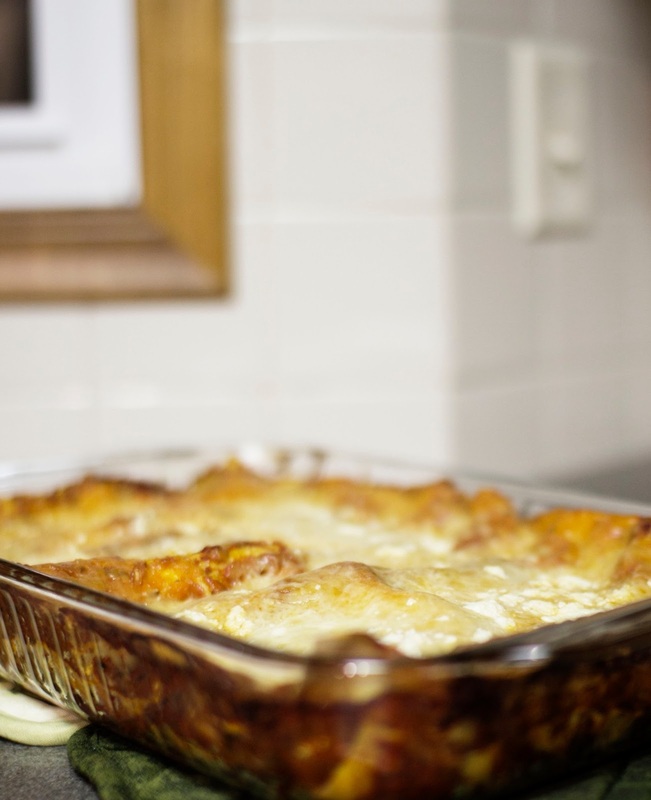 I am a bit of a lasagne addict. It is my favourite food in the whole world and I will sneak into the kitchen and eat spoonfuls over it when my other half isn't looking. I cannot get enough. 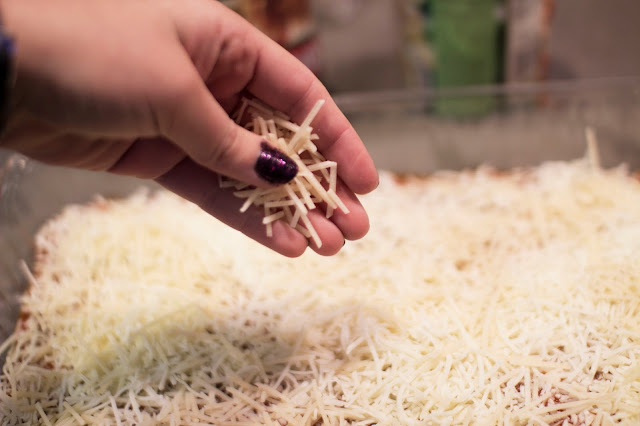 This is a really interesting way of doing it, I always make tons of cheese sauce. It must use SO much cheese up but I do love how crispy it looks. Yum... the last lasagna I made so soupy. I'll be giving this recipe a try. You are so talented! 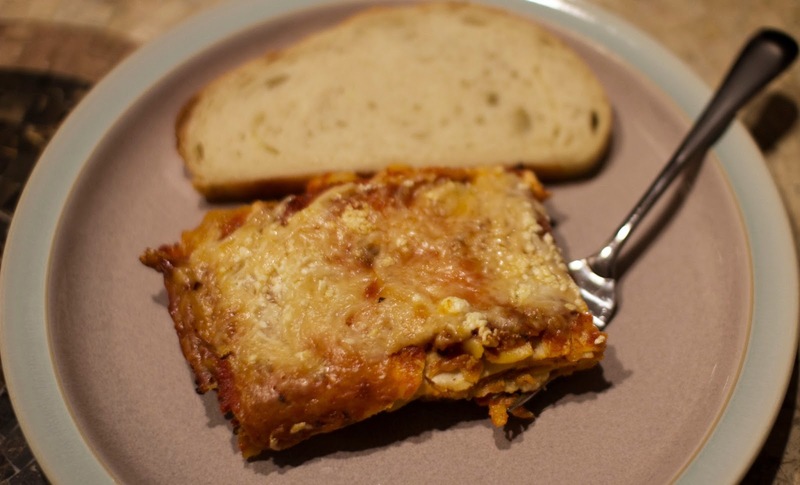 I've tried lasagna and failed many times. Maybe I will try this!